You are currently browsing the tag archive for the ‘Vinca’ tag. 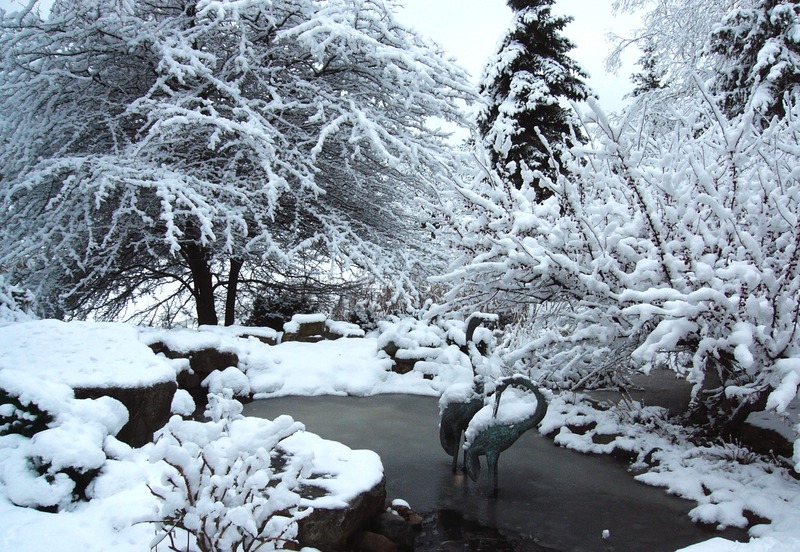 With busy schedules and little extra time, most homeowners request a landscape with no maintenance. But unless you have the Rocky Mountains or the Pacific Ocean for your yard, there is no such thing as a “no maintenance” landscape. However, with these tips, you can easily have a landscape that is LOW maintenance. Decrease the use of herbicides, fertilizers and mowing by reducing the amount of grass and replacing it with planting beds. 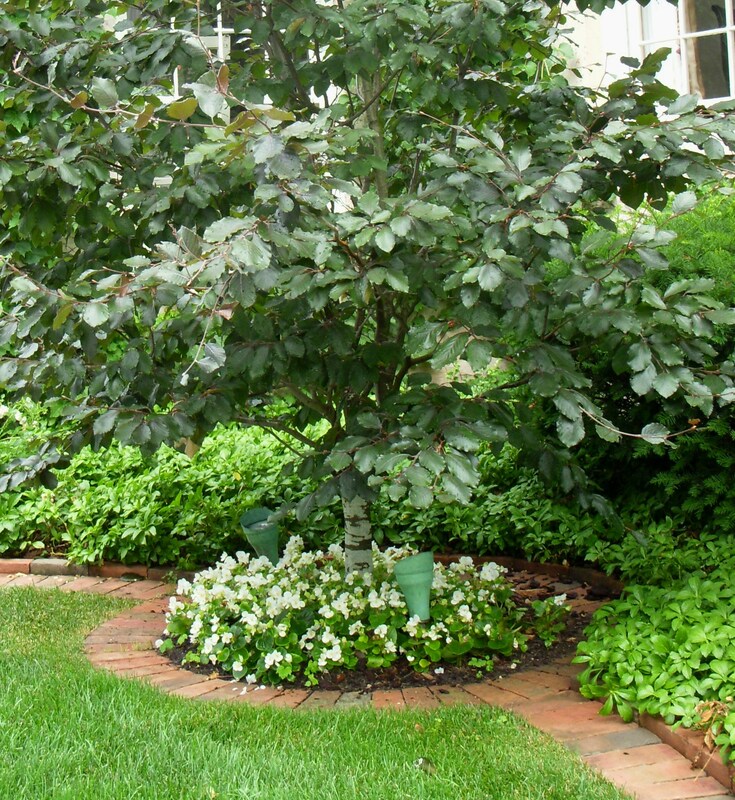 Install an evergreen groundcover like Pachysandra or Vinca to give the same look of green turf. 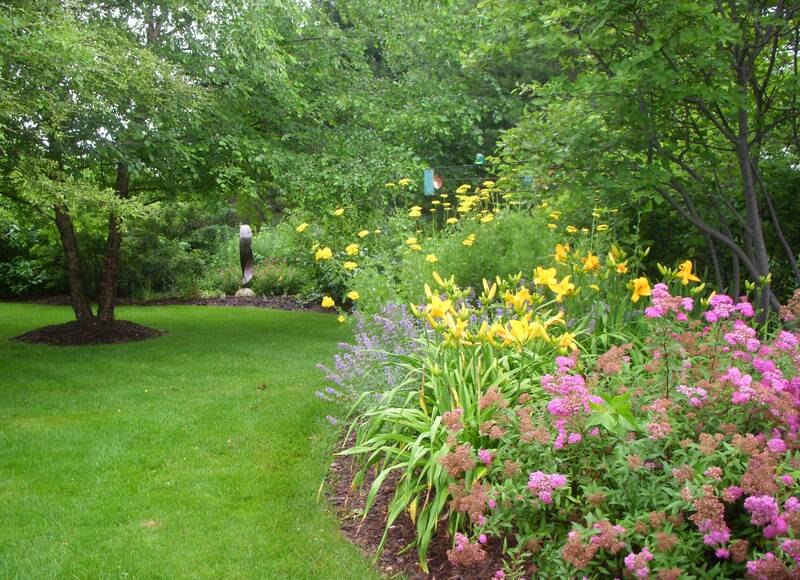 Install masses of perennials and shrubs, 5 to 7 or more, instead of planting a couple of plants here and there. Install the right plants in the right place. Make sure they are hardy for the area. Amend the soil with organic materials before you plant. Make sure the plant doesn’t overgrow its space. Avoid putting trees and tall shrubs under utility wires. Let larger shrubs like Forsythia grow to its full size and place them in outer beds. Tidy, narrow plants can be placed in smaller areas. Plant heat-seeking plants in dryer sunny areas and shady loving plants under trees and on the north side of buildings. Mulch planting beds with up to 2 to 3 inches of Eco-Rich! bark mulchto help keep weeds down and reduce soil erosion. 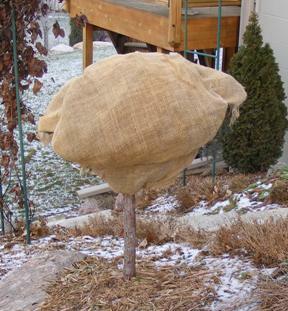 Put a mulch ring around trees for easier mowing, decreasing the likelihood of damage to the tree. Create a nice clean edge along planting beds. Save time on pruning and consider letting plants grow to a more natural look instead of shearing them down to little balls. 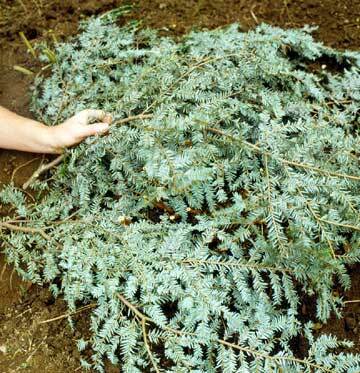 Choose healthy, disease-resistant plants with a moderate growth rate. Select perennials that don’t spread or re-seed easily. Practice good planting techniques. Install plants in holes that are wider then the pot or planting ball. In our heavy clay soils, it’s a good idea to plant trees and shrubs a few inches higher than the existing grade to prevent downing. Water the plants adequately, until established. Spend a little more time with your plants in the beginning, and it will take a lot less time than if you need to replace them later. 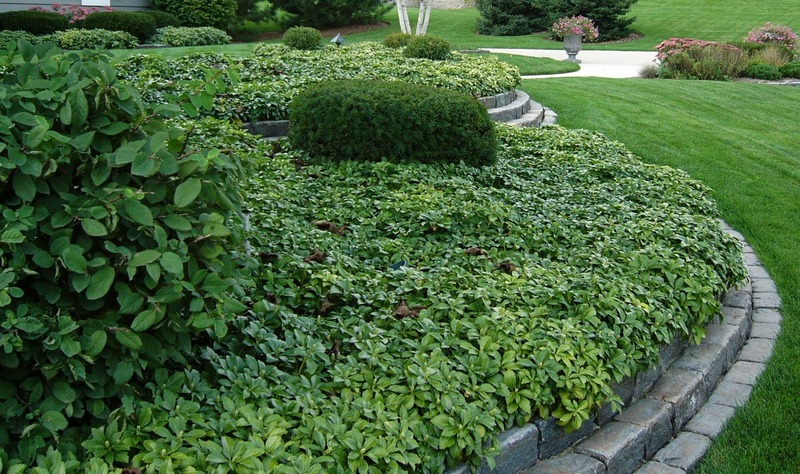 Plant masses of Pachysandra for a groundcover instead of installing sod. Create a planting bed or a mulch ring around trees for easier mowing and reduce damage that can be done to the tree from string trimmers and mowers. 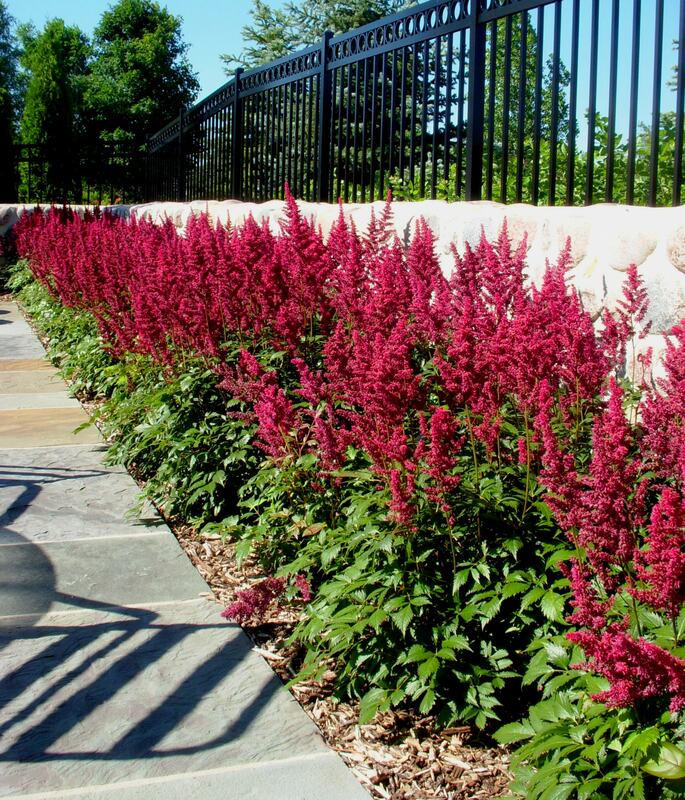 Plant shrubs and perennials in masses like this Astilbe for a simple look and easy care.